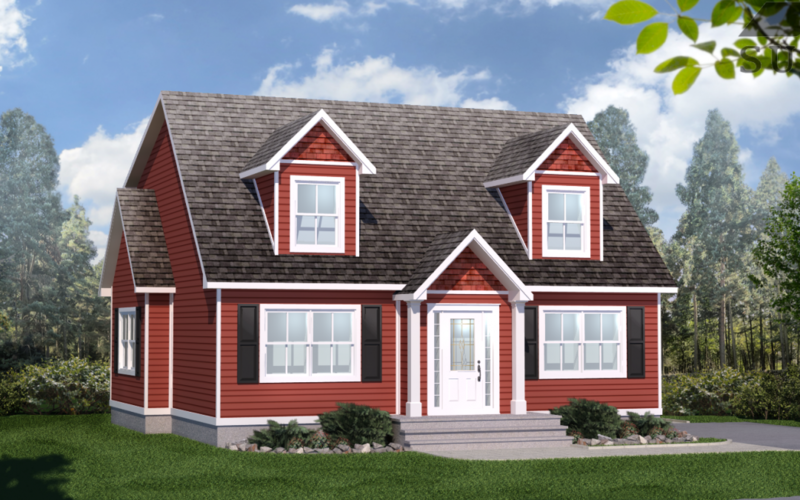 Inspired by pioneer houses from centuries ago, the Sackville has a traditional Canadian look. The second storey’s dormers make the house very appealing and bring a cozy feel to the interior spaces. With 4 bedrooms and 3 bathrooms, this house is perfect for large families. The bedroom on the first floor could be used as a guest room or an office if required. The spacious side entry with walk-in closet makes for a great transition from the exterior or from a garage.